There are a few things that all drivers have in common, and one of those things is the shared dread of being stuck behind your wheel for whatever reason. The funny thing about that is the fact that there are so many different ways for a driver to be stranded in their car. If you would like to sample the choices that are available, they range from using an unprogrammed aftermarket electronic car key to a problem that stems from issues with the ignition switch. Many of these problems are relatively simple to solve (if a professional is at the helm), but the real trick comes when you are trying to identify the problem that places you in said predicament. 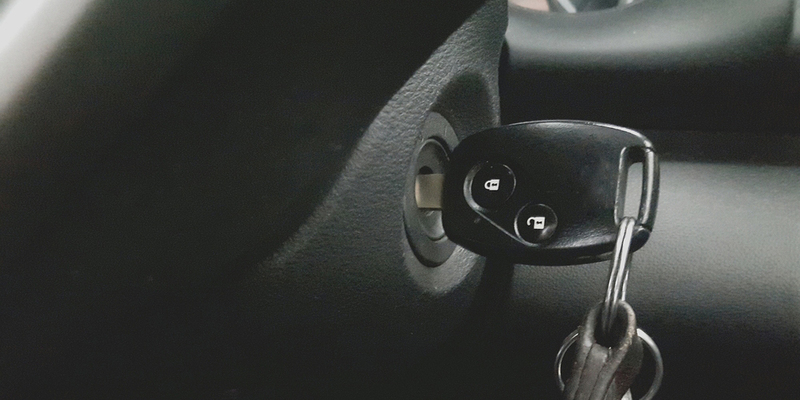 Today the focus of this article will be on a key stuck in ignition, and the ways you should approach an instance when you have a key stuck in ignition. Remember when I said that the most complicated thing to do is diagnose the problem? That holds true for most car related issues and lockouts, and this includes any time that you might have a key stuck in ignition. Before we get started going down the rabbit hole of fixing a key stuck in ignition, I want to offer a word of caution. If you notice that your car key won’t come out of ignition for any given reason, you need to exercise patience before you do anything rash. As a fellow driver, I know that this is particularly hard to accomplish, especially when your car key won’t come out and you have many other pressing issues to attend to. Trying to pry out a key stuck in ignition, or using some other forceful means without properly diagnosing the issue, will leave you with more problems to take care of. For instance, if your car key won’t come out and you try to pull it out by yanking on it, you run the risk of breaking your car key, which will mean that you will now have to spend money on extracting and fixing a broken car key as well as (possibly) undergoing an ignition cylinder replacement. I hope that you take that word of caution to heart because it will come in handy for you at some point. Now let’s examine some questions to help you diagnose the issue of a key stuck in ignition. 1. Is Your Car Properly Turned Off? This is an important question that you should always ask yourself whenever you have a key stuck in ignition. It might seem like a rather banal approach, but I assure you many drivers have been frustrated by a car key that won’t come out of the ignition, only to find that their car is not properly turned off. I believe that this is a universal rule for all cars with a keyed ignition, but you have to ensure that your car is completely turned off before you are able to remove your key. Vehicles that utilize keyless push button ignitions with key fobs do not usually face this problem. This is the first thing that you should check when you have a key stuck in ignition. 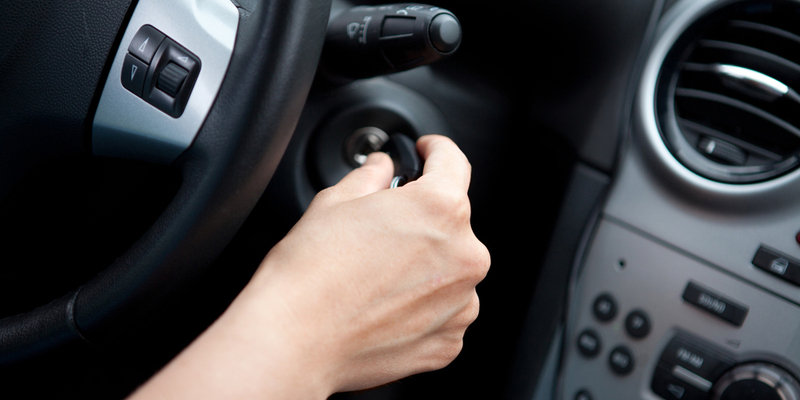 Often times, drivers do not fully rotate the ignition cylinder when they turn off their vehicles. This means that the car is still, technically, on. Understanding the basic mechanics of your ignition system will save you a headache down the line. It will also help you extract your car key without inflicting any damage on the car key or ignition cylinder. If you try to resolve your problem this way and you are unsuccessful, then you can rule this problem off your list and continue reading until you find a solution that seems to help. Remember, always make sure you try this first to reduce the possibility of damaging your car keys and your ignition cylinder. 2. Is Your Steering Wheel Locked In Place? You should be aware of the fact that if your car key won’t come out of the ignition, it does not necessarily mean that all of the symptoms of your problem will be central to the key and the ignition. At times, you have to pay attention to other components of your vehicle as they might indicate the reason why your key is stuck in the ignition. One of these components is the steering wheel. The steering wheel controls the direction of your car, and it is also a complementary piece to your ignition. This is usually done as a safety measure in most vehicles. It is meant to ensure that the car does not move if there is no key in the ignition or that the car is not operated when the wrong key is inserted. The steering wheel has to be unlocked, and this usually happens once the key is stuck in the ignition. However, because these two actions are so closely related, there is always the possibility that a locked steering wheel will prevent you from removing the key from the ignition, which results in a key stuck in ignition. In order to rectify this problem, take some time to slowly rotate your wheel left and right, while simultaneously applying a bit of rotating pressure on your key. Ideally, this motion should unlock your ignition and allow you to remove your key from the ignition. Similar to the problem up above, these are relatively simple solutions, but they should not be overlooked. It is not always the case that there is something overly complicated wrong with your car key and the ignition. 3. Is The Key Broken In The Ignition? There is always the possibility that your key might be broken within your ignition, which will result in the key being stuck in the ignition. This can happen in several different ways, and each of these occurrences needs to be handled with caution to ensure you do not cause more damage. One way this happens is as a result of using an already damaged key to operate your vehicle. There are many drivers who have the bad tendency of neglecting the appearance and maintenance of their car keys which always cause trouble at some point in time. If you happen to use a car key that has fallen into disrepair, or that might be bent out of alignment, you run the risk of getting it stuck in your ignition. In this instance, a damaged key is also considered a broken key since it is not functioning the way it was intended. The other option involves breaking your key off in the ignition in a more traditional manner. This simply means that your key will break in a way that leaves a piece of the key left in the ignition. Technically speaking, this also means that you have a key stuck in ignition, but just a piece of it. Depending on the severity of the key stuck in ignition, you will be able to remove this yourself or you will have to contact a locksmith. If you are able to successfully extract the broken section of the key that was stuck in the ignition, I advise that you have a locksmith examine the ignition cylinder before you use a spare key to operate your vehicle. 4. Is There Something Wrong With The Ignition Cylinder? Being able to determine if there is something wrong with the ignition cylinder is much more challenging than anything else described up above. This is because if your car key won’t come out, you will have to determine whether it is a problem that stems from the key or from the ignition. If the key is broken and one part of it slides out of the ignition, then you will know that the problem probably stems from the key. Even then, it is not exactly clear cut. There is always the possibility that your key broke off in the ignition because you were forcing it to turn in a broken ignition cylinder. The easiest way to determine that the ignition switch cylinder might be the root of the problem is by ruling out the possibility that your car keys are the problem. This might not sound like much, but knowing where to start is effective in drawing up the appropriate solution. 5. Is The Keyway Blocked? You will sometimes find that your key is stuck in the ignition because there is some form of obstruction that is prohibiting the smooth movement of your key within the ignition cylinder. In order for your key to move freely in and out of the keyway of the ignition cylinder, the cylinder has to be free of debris and dirt. This is something that many automotive owners neglect in some capacity. The buildup of dirt and grime over time is a potential hazard to the normal operation of your car key and can very well result in your car key being stuck in the ignition. In its most extreme case, a blocked keyway can lead to your car key being broken, which is much more of a hassle for you to deal with. If your car key is stuck in the ignition as a result of a broken car key, then you need to assess the situation and determine whether or not you want to handle it yourself or call a professional locksmith. The process of extracting a broken car key is not overly complicated, but it can cause further problems if it is not executed in the right way. Most people will be drawn to the do-it-yourself method because it appears to be cheaper, but you need to realize that cost is about more than monetary value. You potentially run the risk of making your security vulnerable and incurring more cost by the damage you might cause during your DIY trial run. However, if you are supremely confident in your skills then ignore what I said. If you choose to go the DIY route, you can make use of a broken key extractor tool to remove your broken key and its accompanying pieces from inside the ignition cylinder. This is the same tool that the auto locksmith will use, but they will most likely have much more experience with it than you do. Having a broken key will most likely mean that you will have to get a new key made or fashion a duplicate car key. However, if you already have a spare available then you do not need to worry about this. As I touched on earlier on, it is possible that your key will be stuck in the ignition as a result of issues that stem from complications within the ignition cylinder. If this arises, you will most likely have to consult with a locksmith who will be able to help you conduct an ignition cylinder repair or replacement. It will be much easier to go with a locksmith than to DIY this problem because they will be able to accurately diagnose the cause of the ignition cylinder issues. Also, a locksmith will be able to tell you whether or not it can be repaired or if you will have to get the ignition completely replaced. In this instance, you should keep in mind that the locksmith will most likely have to extract your car key before they begin any work since you have the key stuck in ignition. Do not be startled by the technical jargon that is the subheading up above because it is a rather simple affair to assess the additional components that might be affecting your ignition. In this instance, additional components refer to the steering wheel lock and the transmission that was discussed earlier on. Another additional component that we did not talk about was the car battery. Issues with with the car battery might also be a reason why your key is stuck in ignition. The simple solution in this instance is to disregard the car key and the ignition completely, and focus your attention on getting the battery back up and running. Issues with the car battery that lead to the key stuck in ignition are easily remedied once you take the time to repair your battery. The danger in this instance stems from impatience. If you continue to attempt to turn your key in the ignition or extract it from the ignition, there is a high possibility that you will break your key or harm your ignition cylinder. Taking the time to make sure that all of these components are in the right place and behaving in the right way will help you get your key out of the ignition when the car key won’t come out. However, do not take this to mean that this is a catchall type of solution. This will only be a probable solution if the problems with your car key stuck in the ignition stem from an issue with an auxiliary component. Another simple solution that you can take advantage of if your key is stuck in the ignition and the car key won’t come out is to simply lubricate the car key. Easily obtained solutions such as WD-40 or Tri-Flow are great for lubricating your car key. This simple solution helps the key to gently slide out, especially if it is stuck as a result of an obstruction with the ignition that makes the keyway harder to use. If this solution is successful for you, you should still take some time to clean out your ignition and practice some key maintenance to ensure that you do not have a repeat of this situation. Also, contact an automotive locksmith that will be able to properly assess your ignition to see if there are any other dormant problems that you need to be made aware of. Do not attempt to force your key out of the ignition when you see that the car key won’t come out. Take the time to assess the reasons that might be behind this and then decide on a course of action. This could either be to call a locksmith or attempt a DIY process that will help you extract your key. Pay attention to other components that reside around your car ignition. These include your steering wheel, the transmission (especially for automatic vehicles) and your car battery, to name a few. If you believe that your key is stuck because of an obstruction in the keyway, lubricate the key and the ignition cylinder. Then use a broken key extractor tool to gently pull your key out. If this method is successful, you should make sure that you clean the keyway of the ignition afterward. Your car key might be stuck in the ignition as a result of a problem with the ignition cylinder itself. These are usually harder to diagnose and deal with in the absence of professional help. If you believe that this is the reason why your car key is stuck, make sure you immediately stop tampering with it and call a locksmith to assist you. Any problem that arises around your car key and your car ignition should not be taken lightly. Having enough patience and time to have these issues properly assessed will help you keep the cost of any repairs down, and it will ensure that you are back on the road again in no time. There is no need for you to fret because getting a key stuck in the ignition is a very common occurrence, and one that locksmiths have been dealing with for a very long time. As I pointed out, I believe that visiting a locksmith whenever your key won’t come out is always the best solution, but if you feel completely comfortable handling this on your own then give it a shot. Leave a comment below and let me know if there were any key stuck in ignition problems that I did not address.